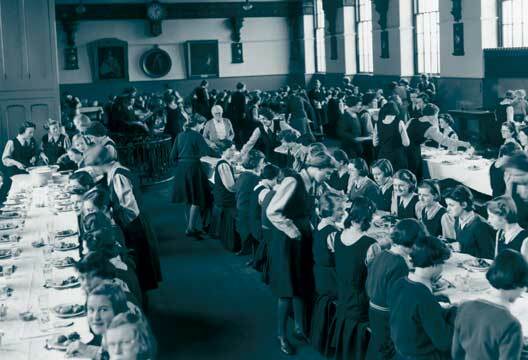 In The Making of Them and Wounded Leaders psychotherapist Nick Duffell introduced the concept of ‘boarding school survival’, the notion, concealed behind the façade of privilege, that boarding education can be emotionally traumatic for children. In this excellent new book he teams up with social-work trainer Thurstine Bassett, and the authors take their mission into the field of mental health work and associated professions. Bassett and Duffell want more clinicians to be aware of the potential trauma of boarding and to better understand how to work with adult ex-boarders, who, they warn, may often prove to be very challenging clients. The focus of the book is an exploration of what is beginning to be known as ‘Boarding School Syndrome’. At its core, this is the process by which boarding children learn to minimise or dissociate from their emotions. Although many may already come from well-heeled but avoidantly attached families that rely on nannies or au pairs to bring up their children, the practice of boarding deliberately ruptures previous attachments in order to re-socialise the child in its own peculiar culture. It promotes ‘character building’, forming personalities that appear self-reliant and turning out competent ‘little soldiers’ who can cope with anything. The fallout from this process is illustrated by many letters the authors have received from adult survivors. Deep inside the emotionally unsupported and abandoned child, chronic anxiety and mistrust develop unrecognised and unnamed by the adult ex-boarder. It manifests itself, we are told, in a fear of being wrong or of getting caught, along with the need to armour the self, by using the rational intellect to defend against vulnerability, and often cruelly projecting emotionality onto others and condemning them. This readable book draws on different psychotherapy traditions and points to current neuroscience research. Its short chapters are interspersed with useful case examples, questions to aid the therapists’ reflection on the material, as well as exercises potentially to be done in sessions or for clients themselves to use. The authors advocate therapy that provides a safe, accepting and ‘mothering’ environment in which to take off the armour and mature, learning to integrate the defensively cut-off islands of self. They describe this process as learning to move ‘from Survival to Living’ and chart three distinct stages of the therapeutic journey: Recognition, Acceptance and Change. At the same time they show how therapists must stay alert to the defensive nature of the boarding school survival personality. As an ex-boarder myself, I found many of the case examples and quotes from ex-boarders painfully resonant and moving at times. However, my own inner ‘Rebel’ – one of three ‘Strategic Survival Personality’ types described – threw up a few questions too, which could perhaps indicate future avenues for research. Most pertinent to me were whether the book’s overarching narrative would still apply to securely attached children and whether there is a more complex story for those with disorganised early attachments? Mark Stibbe is a former vicar and a prolific author who recently appeared on television in connection with child abuse scandals within the church and elite boarding schools. He is also a former boarder who says that becoming emotionally detached and distrustful to cope with boarding became key to the breakdown of his marriage and the collapse of his career and reputation. Having been adopted as a baby, eight year-old Stibbe’s arrival at prep school was ‘a second orphaning’. Repeatedly beaten by his headmaster in his first term, he was deeply conflicted: his parents must be doing what was best for him – it was apparently ‘a great adventure’, ‘a priceless privilege’ – but a ‘crushing sense of loneliness and abandonment’ made him become a ‘mini adult’ overnight to cope with his new environment. Home at Last seeks ‘to expose the emotional cost of the boarding school system’, which Stibbe says creates generations of adults with ‘homesick souls’. A passionate account of the ills of the British boarding school habit, Stibbe’s book brings a rich terminology – ‘the boarded heart’ (which I wished I had thought of! ), ‘the orphan heart condition’, and so on – to describe the mixture of abandonment, shame and privilege which cripples so many former boarders. Additionally, he recounts abuses he and other boys experienced at the hand of an evangelical master at Winchester, exposed by Channel 4 this February. If written in a rather breathless style, Stibbe’s book is accessible and engaging. It showcases his understanding of ‘Boarding School Syndrome’, as coined by Professor Joy Schaverien, exemplified by his personal experience. Along with Alex Renton’s Stiff Upper Lip, it is a welcome addition to a subject that is finally receiving more public attention, even if sometimes the focus is more on abuse than the normalised neglect that boarding entails. Stibbe proposes four stages beginning with D that boarders typically experience: Desertion, Deprivation, Disengagement and Dependency. He looks at the later impact on their spouses, who suffer from their destructive tendencies to ‘emotional detachment’ or ‘toxic attachment’. Stibbe outlines the far-reaching psychological and social impact of boarding – specifically how the emotional detachment that boarding children, when separated from their parents, have little option but to adopt affects their future ability for intimate relationships. Coming home is a huge issue for ex-boarders, and coming home to the Self is integral to the psycho-spiritual journey of recovery, so Stibbe’s title is perfect. In line with his extensive evangelical work, Stibbe proposes a Christian path to recovery, which will be welcome to those looking for a faith-based approach. But it may alienate some ex-boarders, forced to attend compulsory chapel for a decade. One such told me: ‘His book is interesting, but his answer seems to be Put Your Trust in the Lord!’ Stibbe recommends coming home to Almighty Father. My suspicion is that those raised in elite patriarchal institutions have already had enough distant fathering, which in itself should be a good guide to the therapeutic attitude.